S upposed to be an aji amarillo. Not growing at all like the other plants. Fruit are a lot more light green and bumpy, also smaller. Haven't tried them, waiting for them to ripen. Any ideas? Looks more like a Capsicum Chinense , multiple pods per node. Might be a Bhut Jolokia. Edited by karoo, 22 December 2018 - 05:20 AM. That's what i was thinking. Plant looked more like my bonnets during early growth. My Aji fruit start dark green pointed upward. Thanks for the reply. Probably not true Bhut Jolokia, since the leaf edges do not appear to have the characteristic ripples. Is the light green color normal? I'm not familiar with it as a starting color. An unripe pod had a hole in it so i pulled and tried it. It's hot. 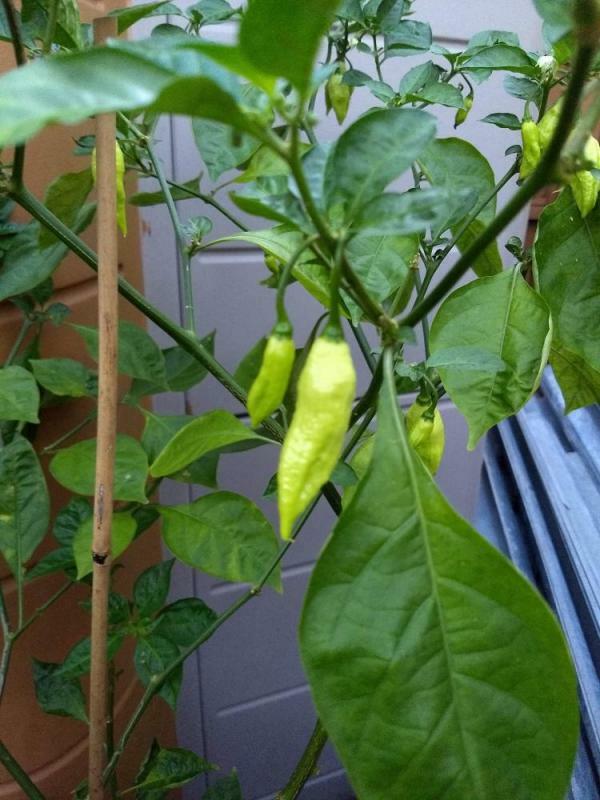 Maybe not ghost hot, but it's not ripe yet either. Updated with a ripe pod. 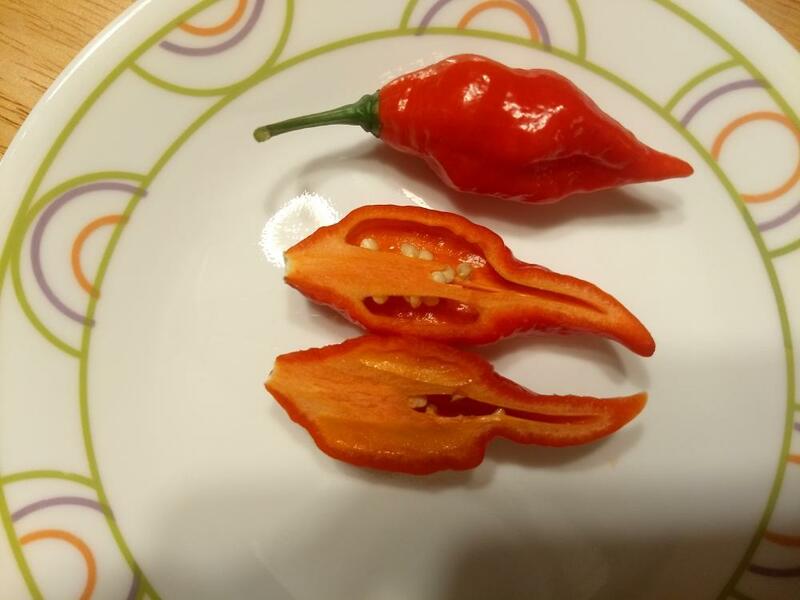 Still nor sure they are ghosts, they are are hotter than Habs/scotch bonnets. Feedback welcome.